Put your car in for a full service and we will check and recharge your Air Conditioning for free. Good reliable service. Harper Motors managed to fit us in very quickly at a short notice on our business vans. We Highly recommend Chris Brown. We also use them on our personal cars too. Great service, the guys at the garage are honest and helpful. Would highly recommend. I have been taking my Golf and Audi a6 to Harper Motors for four years. Really can't recommend them enough. I don't know a great deal about cars so I had searched for years to find a garage that wouldn't leave me feeling uneasy or overpaying. 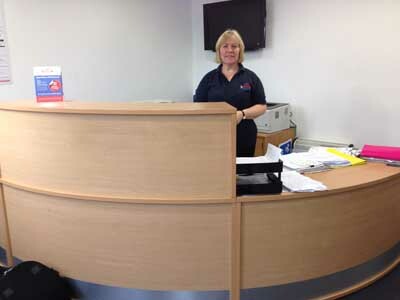 They are fair, honest, flexible and extremely knowledgeable. They have helped me out several times when I was in a bind (emergency pit stop, home visits etc). I have complete confidence in them to do good quality work for a fair price. 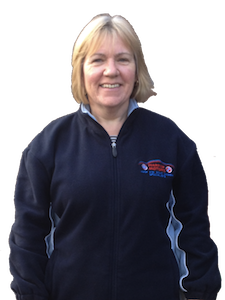 I have been using Harper Motors for 20 years & am still using them because they have always given me a first rate service, do the jobs that others cannot & all at a very good price. Mike & Chris are very knowledgeable & really couldn't be more helpful. Could not fault the service and promptness when fixing my car. I've also had an issue and I've simply turned up and they have been able to repair the issue on the spot. My family and I have been bringing our cars to Harper Motors for over 25 years and we have always had great service. I trust Mike with my car completely. 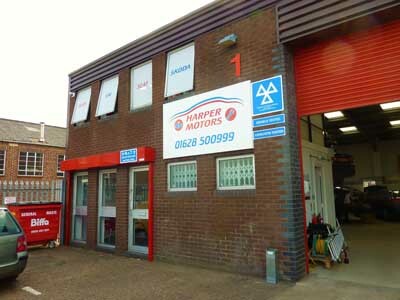 Located in the heart of Maidenhead, Harper Motors are your local VW, Seat, Audi and Skoda specialists for Slough, Maidenhead, High Wycombe and the surrounding areas, providing repairs, servicing and MOT tests. 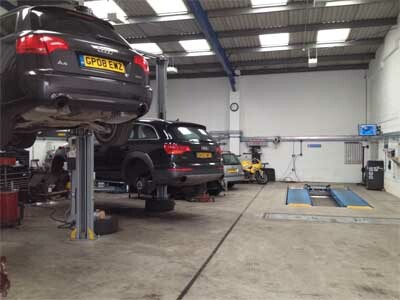 We specialise in Diagnostic Work including: Engine Management System, ABS, Airbag, Automatic Gearboxes, Climate Control etc, using the latest state of the art diagnostic systems to trace and correct even the most complex faults, we are able to provide the level of expertise normally available at your main dealer, but because we are independent we do not charge you the main dealer pricing. This means that you have a real viable option to the main dealer, one that will provide a truly personal service that you will be happy to recommend to your friends. We also supply and fit tyres & exhausts and carry out a range of electrical work. Although we specialise in Volkswagen, Audi, Seat and Skoda cars, having almost 3 decades of experience we also service and repair other makes of cars, so if you have any questions or want a comparative quote then feel free to contact us today. What Comes After A Great Summer? Is Your Car Ready For Taking The Kids Back To School This Autumn? Is Your Car Ready For The Demands Of Long Drives This Summer? Is Volkswagen Maidenhead servicing at Harper Motors the right choice for you? Why Volkswagen Maidenhead car servicing at Harper Motors is the right choice for you. Copyright (c) Harper Motors 2011 - 2016. Website Design by Cherry Pit Solutions.